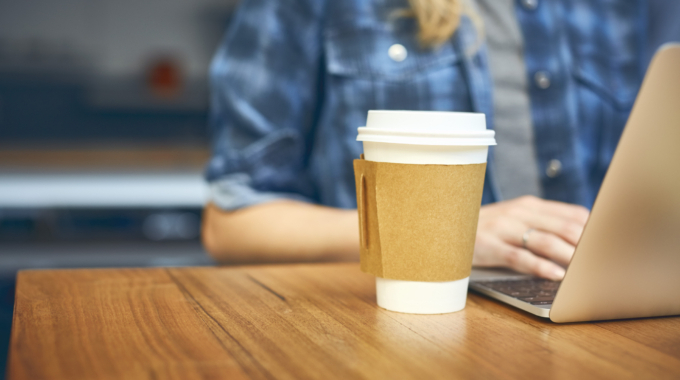 As the takeaway coffee cup debate continues, it’s great to see that there has been some positive action come out of the Coffee Cup trial that took place in November last year in three office buildings in Sydney, Melbourne and Brisbane. Each office building (which had approximately 700 staff) was installed with specialised coffee cup collection tubes and staff were briefed on the programme and asked to ‘Flip, Tip & Slip’ – ‘flip’ the plastic lid into the recycling bin, ‘tip’ out any coffee remnants, and ‘slip’ the coffee cup into the tube. After the four week period, all coffee cups were counted taking into account contamination rate and a survey of staff was conducted to gain feedback and opinion on the scheme. Over 12,000 cups were collected over the four week period from the three buildings at a rate of 1000 cups/building/week or 50,000/building year. The ‘contamination’ rate of non-cup materials was very low. Plastic coffee cup lids were the only contaminant of note – at a very low rate of less than twenty lids per thousand cups. Feedback provided was overwhelmingly positive. 94% of participants supported a permanent collection program. Overall the results were very positive and have proven that in the right environment it is possible to collect coffee cups as a separate waste stream, therefore supporting the feasibility of opening up a dedicated recycling facility for the cups. May 2017 saw the introduction of ‘Simply Cups’ coffee cup collections in Melbourne and Sydney (and coming soon to Brisbane). 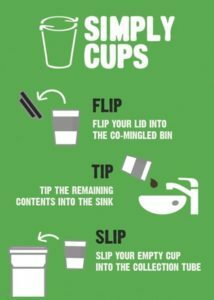 The way it works is similar to the pilot project but this time customers to actively contribute to a recycling solution by purchasing their coffee in a ‘Simply Cups’ cups as well as using the collection tubes. The aim is to collect 100 million cups per year (a contribution of 1 cent from each cup sold goes in to fund the programme). Once this annualised target has been met the local coffee cup recycling programme will be viable. A prominent Victorian organisation that has already set up a Simply Cups programme is the ‘Department of Health & Human Services’. To give you an idea of how successful it’s been so far and the quantity of coffee cups received – in just 7 weeks the Department of Health & Human Services, has diverted 20,000 cups from landfill! 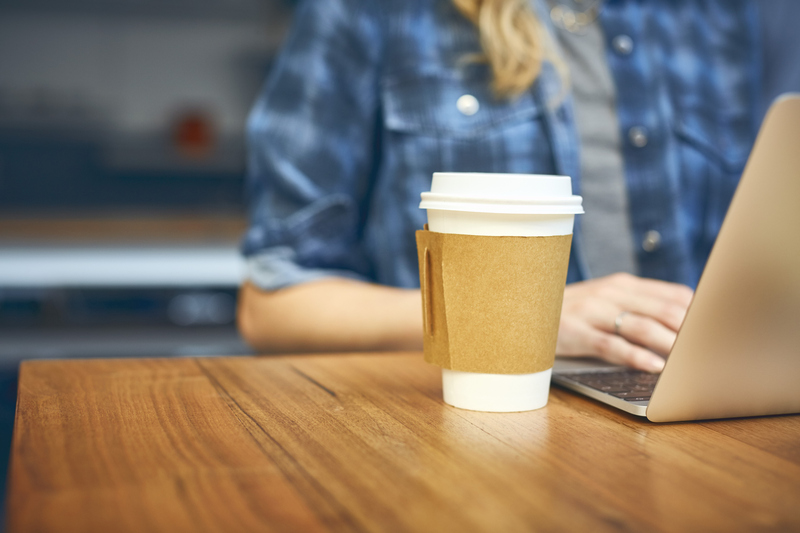 As the coffee cup collection programmes are running, Closed Loop and Simply Cups are working with technology partners in Australia and the UK. One of these technologies shreds the cups and binds this material to recycled polypropylene using a specially developed polymer that acts as a glue. 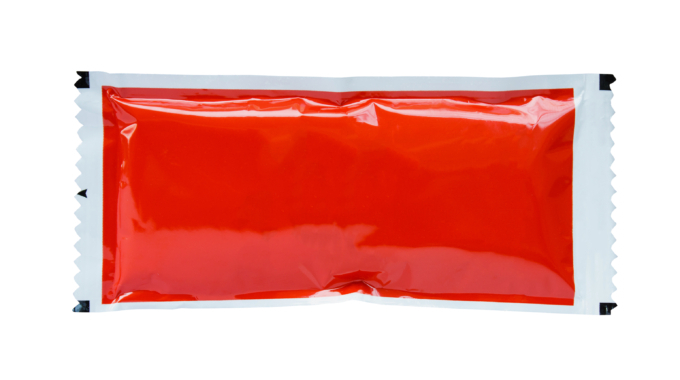 The end product is a fibre-infused plastic pellet that can then be used as a raw material for producing a vast range of plastic products – including food trays and even reusable cups! 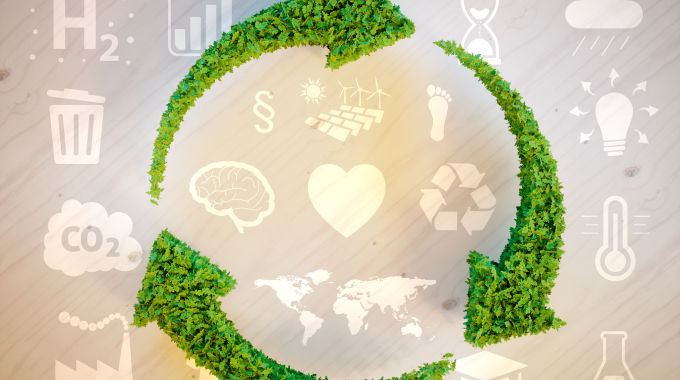 The other technology effectively separates the paper outer from the polyethylene liner, creating two distinct materials that can then each be reprocessed at existing recycling facilities. Nice post. Simply cups really simple and helpful.